The Raven at the Head of Nass Totem Pole at Totem Bight State Historical Park. 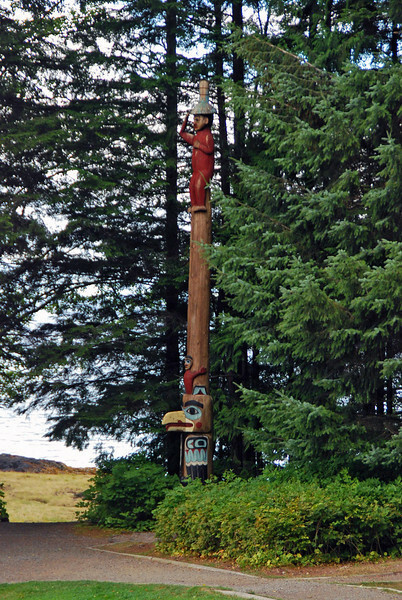 A Tlingit pole, the chief is wearing a spruce root hat. The bare portion of the pole indicates the high regard of the chief.